Old Pueblo Masonry Company in Tucson Arizona is A+ Rated with the Better Business Bureau. We at Old Pueblo Masonry take pride in our specialty. We do masonry walls with grey or colored block. We work with slump block, brick pavers, and can have your wall stuccoed as well. In conjunction with that, we can do "one stop shopping" for you. We install custom gates in wood or wrought iron, and custom wrought iron fences as well. Keep in mind that many contractors do a little bit of everything, but specialize in no one product at all. Old Pueblo Masonry does ONE thing-- MASONRY-- and we do it with pride! In certain circumstances, a structural, zoning, or compliance permit may be needed. 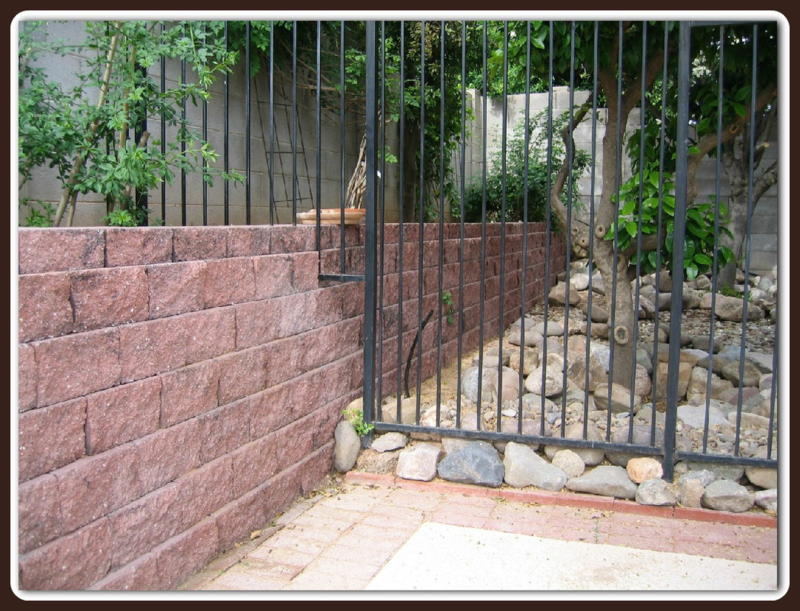 Old Pueblo Masonry will take care of that process for you. Old Pueblo Masonry has served Tucson since 1992. We are a company built on providing quality affordability, and we do it in a professional atmosphere. We have an A+ Rating, the highest possible, from the Better Business Bureau. We at Old Pueblo Masonry want you, the customer, to be proud of the investment you have made in your property. 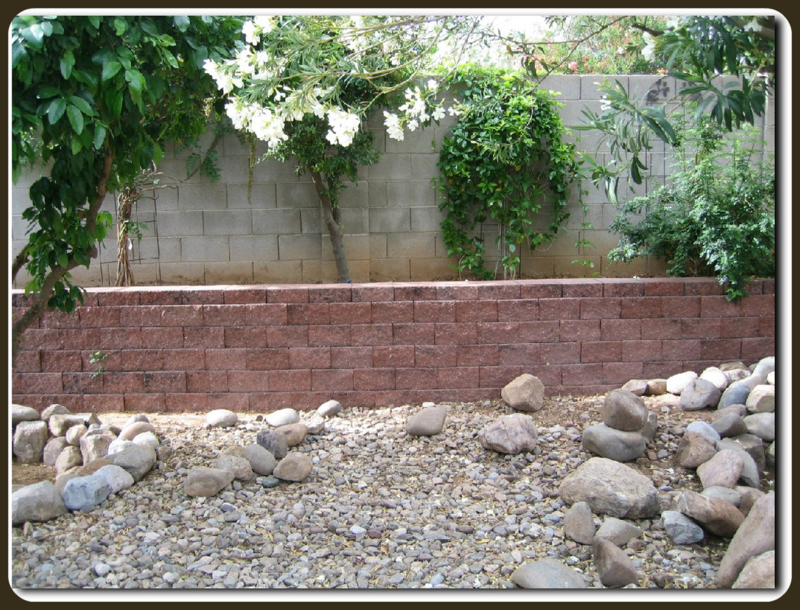 Old Pueblo Masonry is your residential masonry specialist. We are homeowners ourselves and understand how important quality, reliability, and value is when investing in our homes. 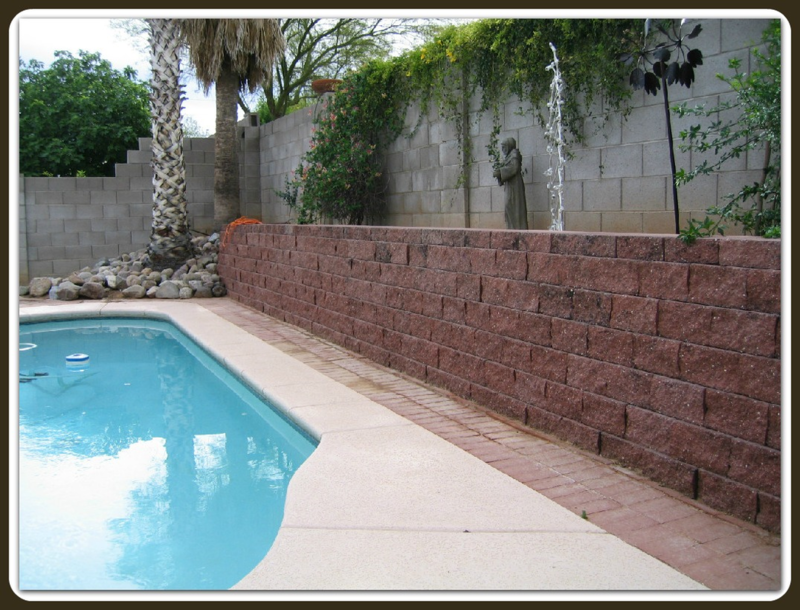 There are many regulations which pertain to masonry walls, from zoning to pool code to structural requirements. These can vary depending on your location. (Marana, Oro Valley, Pima County, or the City of Tucson). Old Pueblo Masonry tries to stay current on these regulations Our prices include permits and inspections if necessary. A quality licensed contractor will carry insurance to protect himself, his employees and his customers. Workers' Compensation Insurance covers employee injuries. Business liability insurance ensures that the homeowner is not affected by work related claims. Unlicensed people rarely carry insurance, which can put the liability on the homeowner. A bond insures that money is set aside to protect the consumer in the event of problems with the contractor's work. If you have a problem with someone who has done work for you, (licensed or unlicensed), of if you want to check on a contractor's credentials, contact the Registrar of Contractors at 520-628-6345. Don't take the chance of investing in a person that you may not be able to find after the wall is built. Arizona statutes allow for individuals to perform minor repairs or installations with out a license ONLY IF the work does not require a local building permit, AND the total cost of the project including labor, tools, and materials does not exceed $700.00. OTHER PEOPLE MAY CHARGE LESS, BUT THEY KNOW WHAT THEY'RE WORTH! WE PROVIDE TOP QUALITY AT REASONABLE PRICES. Old Pueblo Masonry is licensed, bonded, and insured. A masonry license indicates that the state has certified the contractor as qualified to build masonry walls. A license also makes the contractor responsible to the Arizona Registrar of Contractors for the quality of their work. You may not be able to find an unlicensed person after the construction of your wall, but you can always contact a licensed contractor through the Registrar at 520-628-6345. One phone call to the Registrar will also tell you if your contractor has a current license or any complaints. We encourage you to contact them, as well as the Better Business Bureau at 520-888-5353. The bitter taste of the poor quality is remembered long after the sweet taste of a cheap price is forgotten.